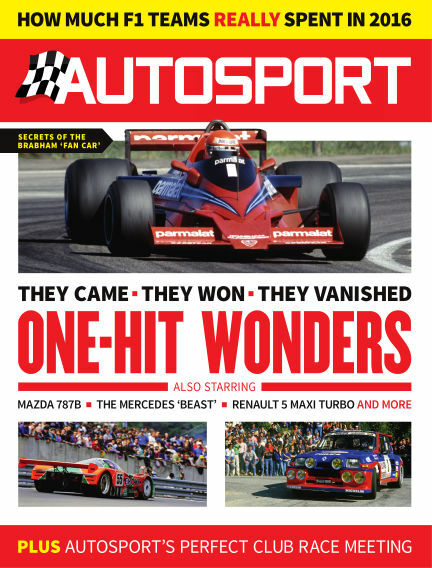 In this issue of Autosport : Every week, AUTOSPORT magazine keeps you up to speed with everything that's happening in the world of motorsport with world-class news, reports, interviews and analysis For more than 60 years AUTOSPORT has been providing comprehensive coverage of national and international motorsport events from around the globe, keeping you in touch with everything on and off the track. With Readly you can read Autosport (issue 29th December 2016) and thousands of other magazines on your tablet and smartphone. Get access to all with just one subscription. New releases and back issues – all included.